The early detection of cancer, heart disease or other medical conditions is critical to a patient’s recovery. When there is a delay in diagnosis or a misdiagnosis of illness, the patient can suffer devastating and unnecessary medical setbacks. If you or someone close to you has suffered due to the misdiagnosis of illness, the attorneys at the Savage Law Firm can help you pursue compensation for your losses. Our attorneys have a proven record of success obtaining results for people who have suffered due to misdiagnosis and other forms of medical malpractice. To arrange a free initial consultation with an experienced Portland misdiagnosis attorney, contact our firm at 503-222-0200 or 206-957-7272. Medical technology has made it possible to detect medical conditions early on, giving patients a chance to treat conditions that were once incurable. When warning signs of illness exist, doctors should order diagnostic tests such as X-rays, MRIs, ultrasounds and mammograms to determine whether or not the patient has a serious medical condition. Discovering illness early frequently enables a better, faster and more complete recovery. 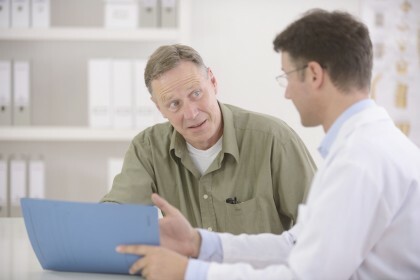 Missing or delaying a diagnosis can have serious implications. Oftentimes, misdiagnosis is simply a case of a doctor not listening to the patient or not taking the patient’s complaints seriously. A common example of misdiagnosis is when a patient comes to the doctor’s office with chest pain and the doctor diagnoses the ailment as indigestion when the pain is really the early signs of a heart attack. Our attorneys thoroughly approach misdiagnosis cases, working to identify at what point in the course of treatment the patient showed signs of illness and whether or not those symptoms were recognized and followed up on. We will work aggressively and proactively on your behalf to help you pursue fair and just compensation for your losses. Contact us to discuss your case at no initial cost. Our Portland doctor malpractice attorneys represent clients in communities in both Oregon and Washington. For a free, no-obligation consultation with one of our experienced injury lawyers in Portland, call 503-222-0200; or in Seattle, call 206-957-7272.